To release their full flavour crush them before using them. Use in marinades, stuffings, sauces, terrines, meat stews and in sauerkraut making. 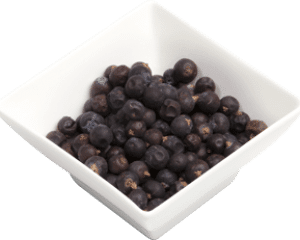 Juniper berries have many health benefits. They have antiseptic and diuretic properties. They can help to treat rheumatism, control blood pressure and support kidney function.